DO YOU SUFFER ONGOING DISCOMFORT? 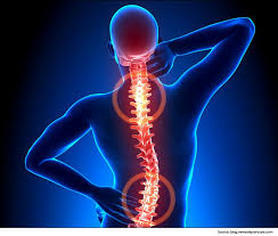 Back pain is an increasing problem and is the leading cause of disability. More than 3.7 million Australians experience back pain. The latest studies show that yoga and similar movements focused on strengthening back & core can dramatically help back pain. In this yoga for back pain workshop, you’ll learn how to get the most from a personal yoga practise and reduce the risk of back and other injuries, particularly by working on your back health and core/ pelvic floor in a scientific based program. This Workshop is suitable for everyone, whether you are a yogi or not. It’s ideal for athletes, swimmers & people who regularly exercise. We know how important it is to be pain free - to lead happier and healthier lives. So, come along and learn how to be strong and stable in your spine and balanced in your body. The Workshop will encourage to develop your own personalised and simple home yoga practice providing a strong foundation for a life-time of spinal health. Daniella Goldberg PhD Medicine, is yoga teacher, yoga therapist & mindfulness practitioner. She offers yoga and meditation classes, retreats, private yoga therapy sessions & workshops. Her sunrise and morning yoga and meditation classes at Wylie's Baths are very popular with the local community and visitors to Coogee beach. She also runs yoga and wellness retreats close to Sydney surrounded by nature and fresh air. YOGA Health rebates available, check with your provider.